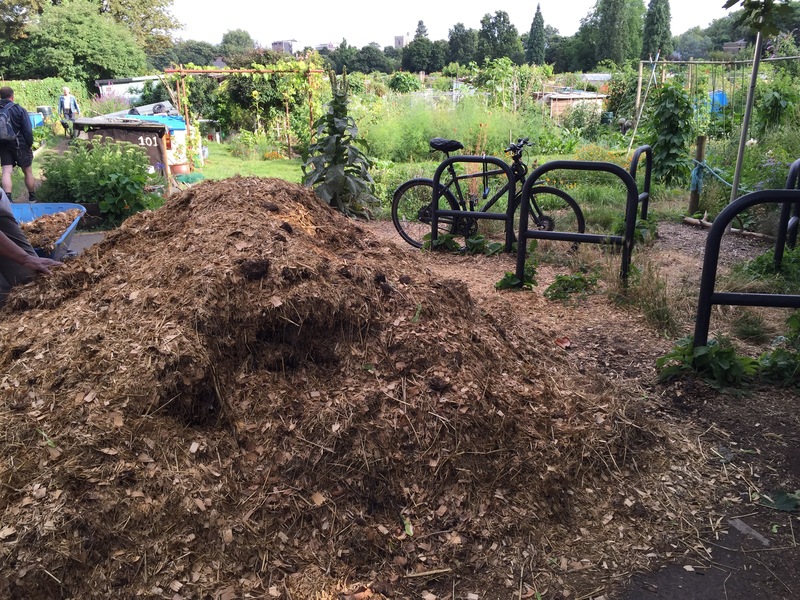 Pile of manure brought in especially from Buckingham Palace horses for Fulham Palace allotment. I’m sitting on our terrace doing a bit of work and writing this blog on a sunny Sunday in London. According to Hubby, this sort of weather is normal for London – that locals dub it “sunny London” (direct quote). Whether or not you agree with Hubby, I can testify that we have in fact had a lovely warm summer so far and Londoners are well and truly out of hibernation. 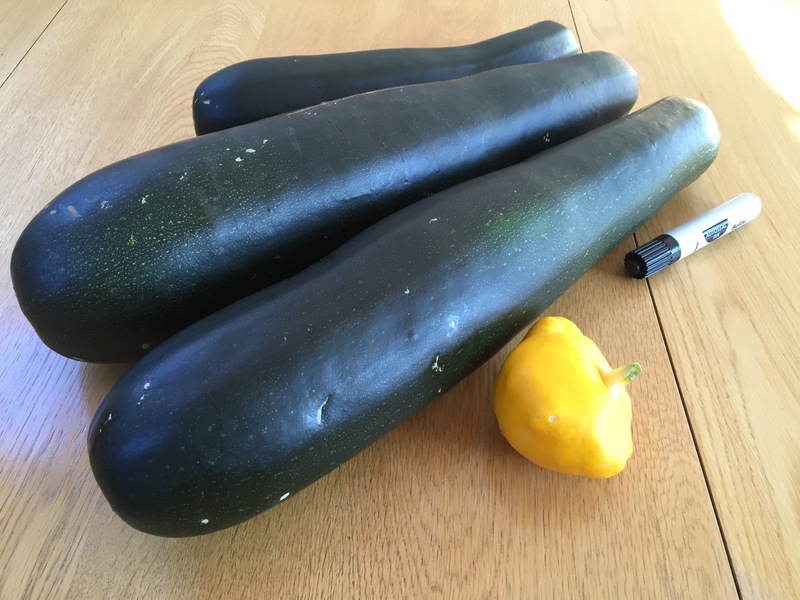 The last couple of weeks have been all about summer activities – on our terrace, our tomatoes are getting ripe and sweet and we’ve been gardening on an elderly friend’s allotment just down the road, weeding and watering while they are away in France. The war on weeds is an ongoing battle which we are only just winning. An allotment garden is a piece of land divided up into portions and assigned to individuals or families for the purpose of growing fruit and vegetables – non-commercially. If an allotment dates back to WWI or WWII it is still often called a ‘victory garden’. The Fulham Palace Allotment Association began during WWI – given in 1916 as a gift from the Bishop of London for local families to grow their own food. There are 406 plots, all about 5 rods in size (30m x 8m). Nowadays, leasing an allotment is more of a hobby than a war time necessity and there is a 3-5 year waiting list to get one – we are about a year into our wait. In the mean time we regularly help Sir E and Lady H with their war on weeds. Injuries include: sun burn, insect bites, scratches, back aches and now chilli burns. Other than gardening, life ticks on as normal in London. We went to a debate last night about the legalisation of the trade of rhino horn. The speakers were John Hume (rhino breeder) and Will Travers (son of Virginia McKenna of Born Free (1966) fame). In the audience, I’m sorry to report, were a small group of extremely rude and badly behaved South Africans – consequently, I ramped up my British-ish accent so as not to be associated. With schools closed and so many people abroad for the summer, London is relatively calm and quiet. We’ve just said goodby to Hubby’s Florida cousin who was with us for two weeks, and my brother and family arrive in less than 2 weeks! To see what they are up to in the next leg of their new adventures, go to their blog. Dear readers, with life being a little quieter here, I’ve been pondering an important question: Is it weird that I can come up with a film clip to illustrate almost any life experience, both major and mundane? For instance, we are in the process of migrating banks at the office. In a formal meeting with our new Chelsea-based bank manager, signing bank mandates and checking ID’s I blurted out that this reminded me of a funny identity check scene in Monsters Vs Aliens (2009). Everyone looked up curiously from filling out important forms. It was at that moment I realised it was not appropriate to describe said scene. This same week, in a staff meeting, our intern asked what a ‘moon pool’ is. After one of our brokers had explained, I felt the need to add that if you’re in a horror film, standing in front of a moon pool, you should expect a shark to jump out of the moon pool and eat you. I honestly cannot help myself! My photographic memory of film scenes was certainly helpful when I used to teach Film Studies, but it’s not always welcome in the real world. Is there anything I can do to cure this rather niche strain of foot in mouth? P.s. We spent last weekend in the Midlands which was very interesting – blog post on Kettering will follow soonest! P.p.s. There are some vampire mozzies living in the allotment. Hubby and I have both been bitten. Normally, if I keep Hubby close the mozzies go for him and not me, but these monsters are ruthless – we both have large itchy welts to prove it. P.p.p.s. I have a few more ideas for Days Out in and around London (including our visit to the ‘wig and bum room’ – I kid you not), which I’ll share soon, so stay tuned. P.p.p.p.s. During the years I taught Film Studies, every time my colleague and I left the room we said in an Arnie voice, “I’ll be back” – completely normal! P.p.p.p.p.s. In the mean time I’m cooking may fave black bean dish and just rubbed my eyes with the very same fingers that were just cutting chillies – gotta go! What great joy gardening is whether your choice is flowers,lawn or crop growing or even designing the ‘perfect garden’ just to sit and read or watch the wildlife at work.Whether it is a robin looking for worms after a lawn cut or pigeons battling with seagulls to find any morsels left out by kind gardeners.Now where is that hedgehog……?Is that a magpie or two…? The old tradition of growing crops in the back garden or on an allotment is changing.Many residents are now using both the front and back gardens for growing crops and making full use of their available land especially if the front garden is south facing.Food for thought. That’s a great one. Thanks for sharing!